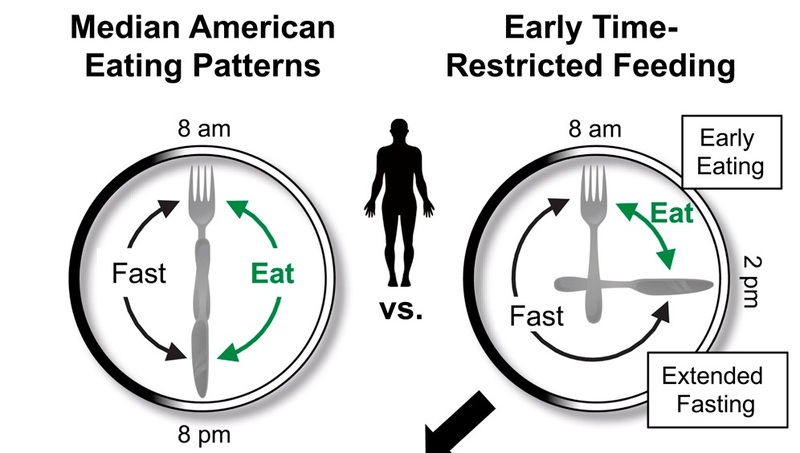 This new approach, and one that I now routinely follow, is known as early time restricted feed, eTRF, and is based on principles of the new discipline of chrononutrition. A randomized, cross over trial of pre-diabetic men showed marked results after 5 weeks of eTRF. This included improved insulin sensitivity, blood pressure, sleep, oxidative stress, and appetite control. Most striking, these effects were observed in absence of weight loss.